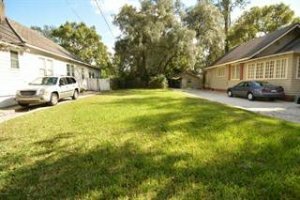 Do you have land to sell in Jacksonville? If you own land but don’t want to sell it through a real estate agent… Make sure you read this blog post to help you know how to sell vacant lots and land without a Realtor in Jacksonville, Florida and surrounding areas. If you are a land owner in Jacksonville or surrounding areas, and if you’re thinking about selling it then you’ll want to know what your options are. Some people choose to sell their land through a real estate agent (also known as a Realtor) but this is not the best choice for everyone. An agent might be able to find a buyer (but might not) and you’ll have to pay them a substantial commission at the end. If this seems time consuming, did you know there’s another way to sell? If you want to know how to sell vacant lots and land without a Realtor in Jacksonville you might be glad to know that there’s an even easier way to sell: you can sell directly to us here at Fair Home Offers. We buy vacant lots and land directly from buyers (we’re not going to list it like a Realtor would – we actually want to buy).